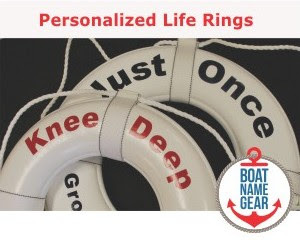 Daily Boater Boating News: Sea Songs: Feeling Spangled? I never thought about the word "Spangled" before, it was as if it was always part of one big word, "StarSpangledBanner". The whole thing meant "patriotism", "America", "Francis Scott Key", but that word "spangled" just sounds funny by itself, doesn't it? Anyway, I'm writing this on the 14th of September, which Morning Edition told me this morning is the anniversary of the day that old F. Scott penned the poem which became "The Star Spangled Banner" on a BOAT off Baltimore (the "there" where the "Flag still was"). Here's the story. Ok, did you finish reading? Do you know all about the War of 1812 now? Good, now here's the song as performed by Sebastian Bach, former lead singer of Skid Row: To listen, after you go to this page, click on the song title on the mid-right side of the page. Well worth it. 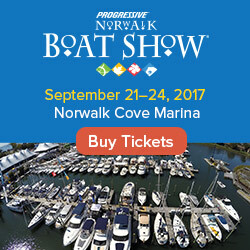 Weekend - Boat Shows, Got'em, Need'em? Buy a boat on eBay?